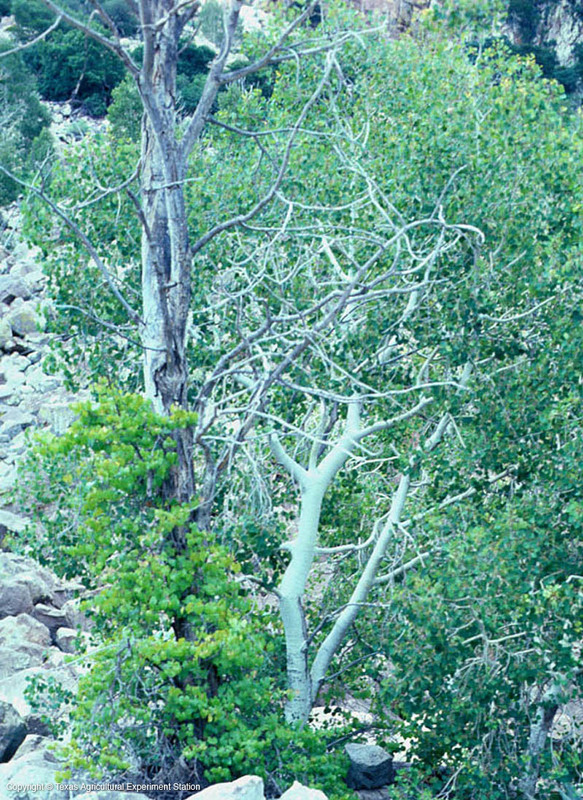 Quaking aspen is the most widely distributed tree of North America, but in Texas it is found only above 7,000 feet in restricted locations in the Davis, Guadalupe, and Chisos Mountains in west Texas. 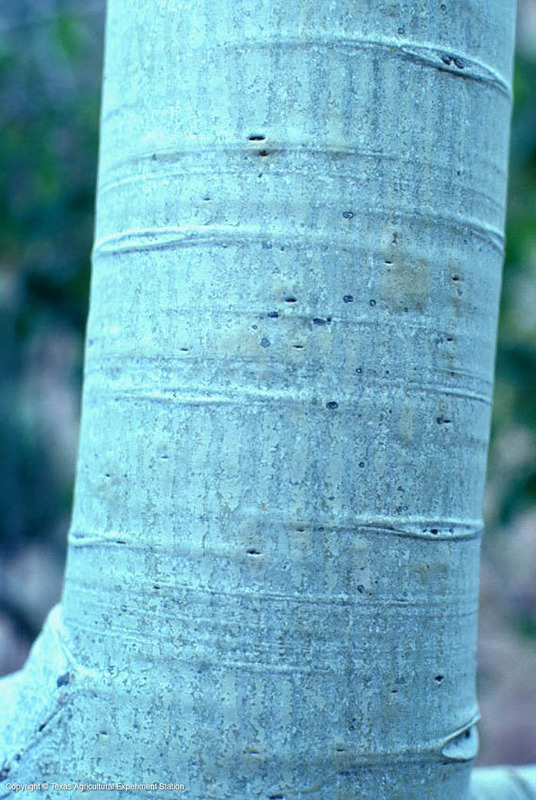 It is a slender tree with bark that is smooth and white, somewhat beech-like, and it only grows to 40 feet high. 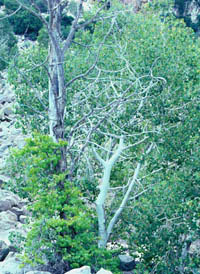 The leaves are small, rounded, and on long stems so that they tremble in the slightest breeze. They turn a brilliant gold in the fall.